The building industry in the UK is a hot topic with Brexit in sight (as is all UK industry) but regardless of politics, the future success depends on the innovation, if we can adapt, evolve and respond to what the customer demands then we can keep growing. Historically the UK are innovation leaders and with exciting new resources and technology available, there is every reason to be optimistic. In this post, we will look at current innovations in the building UK industry that is happening right now and giving the country a boost. At the end of April, the UK government called on the industry to embrace all the latest innovations to ensure that new homes are being built to quality standards and are fit for the modern family in the 21st century. Look out for Virtual Reality coming to a new development near you. VR can be used to demonstrate housing plans to a community before the building goes ahead. Giving people the opportunity to truly experience how a new development will fit into their current community. The Prefab is back, well not quite in terms of post war temporary accommodation but prefabrication is becoming an increasing part of the construction process. Elements of the build can be built off site and then transferred and fit together much like high tech durable lego! This allows for speed and efficiency as well new exciting materials to be used. Consider how much quicker a build would be when the walls can be constructed separately while a contractor lays the foundations simultaneously. Not restricting all the building to an outside site also has the added benefit of being more efficient in the UK weather! Robotics and automation offer revolutionary opportunities in the construction industry. Intense and repetitive manual labour is a big cost of a construction project and robotics provide an alternative. They do though require an initial outlay, maintenance and skilled workers to oversee and program them. While robotics will not replace people in the construction industry they definitely have their place. There is currently big investment going into the development of Green construction and great strides have already been made. Owning a sustainable home with a low/zero carbon footprints is becoming more desired as it becomes more realistic to create these homes on a mass scale. As building projects increase with the new government spending, we expect to see green construction becoming more mainstream. 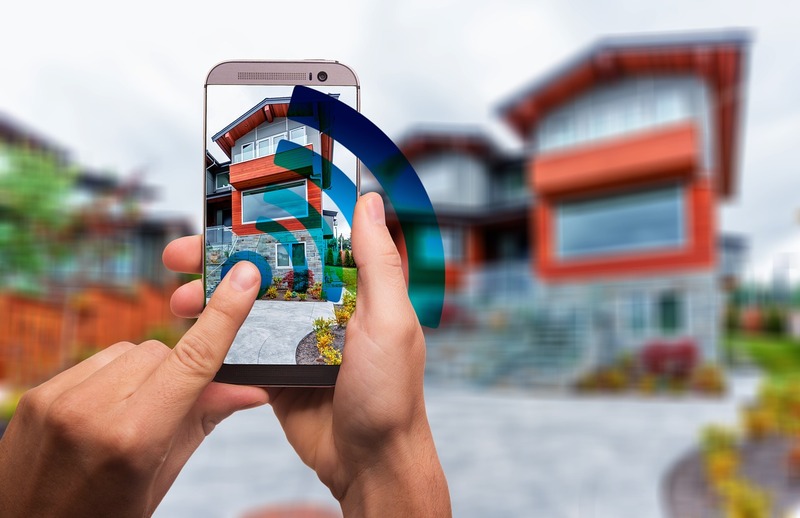 So the homes of the future are very much becoming part of our present and this innovation has the potential to support the industry through political change. What innovation would you like to see in the modern home in the next 20 years?